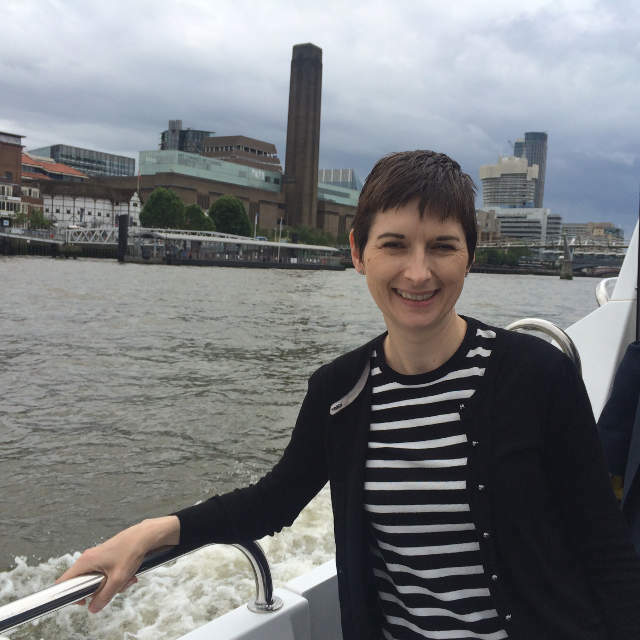 Caroline Pidgeon AM met with Thames Tideway Tunnel project officers for a trip along the River Thames to look at some of the sites where major works will take place to build the Tunnel. The Tunnel will remove sewage from London in a modern way, rather than the current situation which means when it rains heavily, sewage is washed into the River Thames. I was first alerted to how significant its lending was when I read the papers going to the Transport for London (TfL) Board last September. I discovered TfL had entered into a new £1 billion corporate loan with the EIB to support investment in a number of projects, including station upgrades, track renewals and cycle superhighways. The London Assembly has agreed a motion asking the Mayor to commission research into the effects of overseas investment on the London housing market. With London property continuing to attract foreign buyers, Members determined that the Mayor now has a duty to analyse what impact this investment has on the price, affordability and supply of homes across the capital. “To ensure we have the right policies in place to tackle London’s housing challenges we must first have a full understanding of the real impact that overseas investment is having on the price, affordability and supply of homes for Londoners. "I am happy to be reelected to the Assembly and encouraged by the Mayoral result as we know that it will take time to rebuild the party. These are our first steps back and I am happy to have substantially increased the Party's total number of votes in London. Caroline visited Hendon in Barnet with the Liberal Democrat London Assembly candidate Zack Polanski and local activists. They went out to talk to local residents and commuters about the Half Price fares before Half Past 7 campaign, which proved to be very popular. 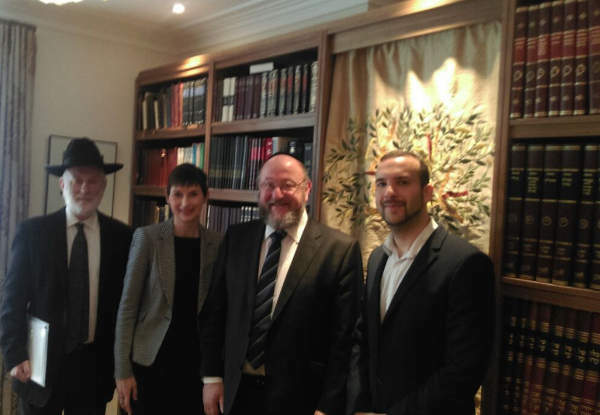 Caroline and Zack then met with local Hackney Liberal Democrat Councillor Ian Sharer, who took them to meet with Chief Rabbi Ephraim Mirvis, where they discussed tackling the important issue of hate crime in London, school places and a range of other local issues. It is time to help parents, particularly mothers, with the challenge of childcare in the capital if we are to meet the needs of London's economy and for London to be a truly family friendly city - is the key overarching finding in a report on childcare in London published today by Liberal Democrat London Assembly Group Leader Caroline Pidgeon AM. 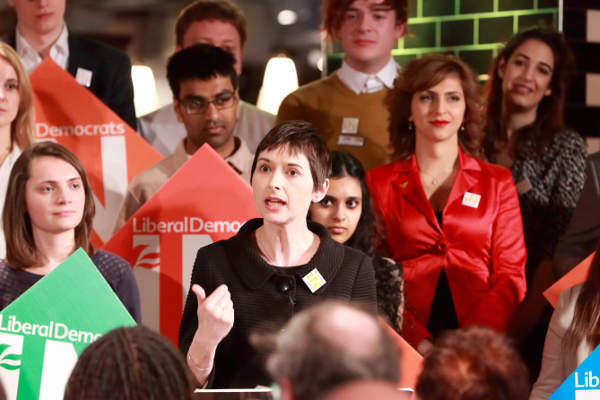 Caroline Pidgeon AM joined Catherine Bearder MEP and Lib Dem leader Tim Farron MP to launch the party's campaign to stay in Europe at the forthcoming referendum. Caroline stressed the importance of EU membership to London and how the London elections are a key step to find support for staying in the EU ahead of the referendum. The London Assembly has requested that Transport for London (TfL) fully recover any public money allocated to the Garden Bridge project. The Assembly also agreed a motion calling for the Mayor to promptly answer all Mayoral Questions relating to the Garden Bridge procurement process.